Snipers in the hills overlook the shattered streets of Sarajevo. Knowing that the next bullet could strike at any moment, the ordinary men and women below strive to go about their daily lives as best they can. Kenan faces the agonizing dilemma of crossing the city to get water for his family. Dragan, gripped by fear, does not know who among his friends he can trust. And Arrow, a young woman counter-sniper must push herself to the limits - of body and soul, fear and humanity. 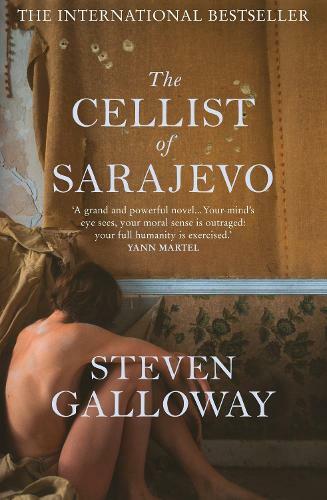 Told with immediacy, grace and harrowing emotional accuracy, The Cellist of Sarajevo shows how, when the everyday act of crossing the street can risk lives, the human spirit is revealed in all its fortitude - and frailty. The simplicity is brilliant, but the best thing about this small novel is the sense of pointless about war that the reader gets.